Movements conducted in the gym are commonly divided into two categories. The first group includes those exercises that are used to finish off a muscle group. 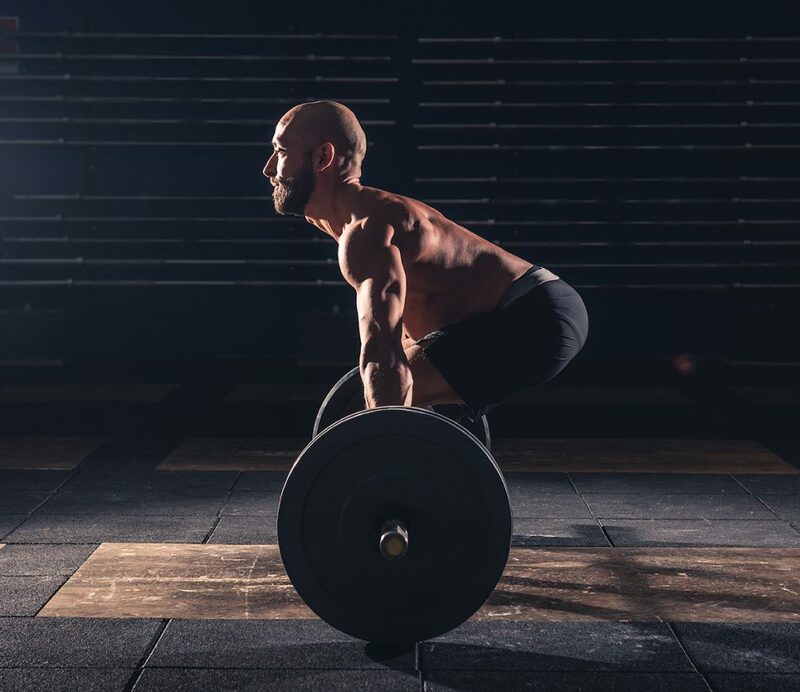 This group of movements may be known to some trainers as the ‘polishing’ movements, as they are used to clean up and better define existing slabs of muscle. In other words, these exercises (such as curls, pressdowns, flyes, and rows) help to polish up the muscle you already possess. The second group, and perhaps much more important set of muscle building movements, are those classified as ‘functional strength’. The purpose of these exercises is to build overall body strength. And, as you might suspect, it is this group of heavy movement that leads to brand new muscle mass. The lifting of heavy weights is imperative in building new muscle mass. Ask any huge guy in the gym, and they’ll all give you the same answer. They didn’t reach that size by pumping their muscles up with dozens of sets of lightweight, 25-repetition sets. No, they climbed under the iron and moved some serious weight en route to reaching their current size. Here are a few of the exercises they likely used to improve their functional strength, which led to the addition of new muscle. And, coincidentally, there are the exercises you should be using as well. This very heavy, very painful exercise builds not only the legs, but the arms, shoulders, back, and chest as well. Squatting results in the release of growth hormone in greater than usual levels from the brain, leading to greater than usual growth. Young trainers are often told if they want big arms, they need to train legs – and it’s the truth. Complete squats once per week religiously. This exercise is perhaps the first one completed by cavemen way back in the beginning of human existence, as they picked up rocks and pieces of wood all day building their huts. Today, we have many technological advances that make the art of picking up heavy things obsolete. You’ll need to resurrect this old process if you want to facilitate the most possible muscle growth. Pressing an inanimate object over ones’ head is perhaps one of the earliest feats performed by weightlifters. Today’s bodybuilders use back braces, angled benched, cambered bars, and many other tools, but the movement is the same: build up muscle by lifting heavy things overhead. Walk into any gym in America and you’ll likely see dozens of guys with 14-inch arms who are in very good condition with very low body fat. You’ll find a much smaller number of guys that have 19-inch biceps and a little fat to lose. The reason is that it’s much easier to get ripped than it is to build muscle. If you place the 14-inch warriors and the 19-inch chubby monster in a bodybuilding contest with 12 weeks to get into the best shape possible, it’s pretty predictable what will happen. Both men will get leaner, and the larger man will probably crush the smaller man onstage when they are both in very good condition. Train for functional strength and you’ll be capable of performing some of history’s most meaningful tasks, as well as scoring well in a bodybuilding show.